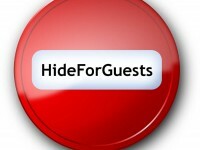 This Plugin for the WoltLab Suite 3 hide content for guests. It is also possible to hide additional content using BBCode [hide]...[/hide]. A button for this is added to the Redactor. Favicons, ThemeColor and more... With the Plugin Additional Meta Tags you can give your website more individuality.